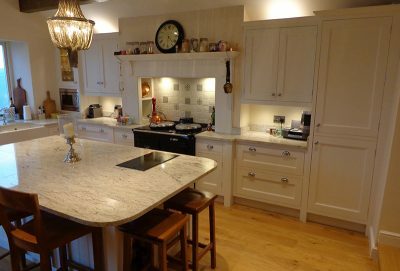 Rustic feel white shaker cabinets. 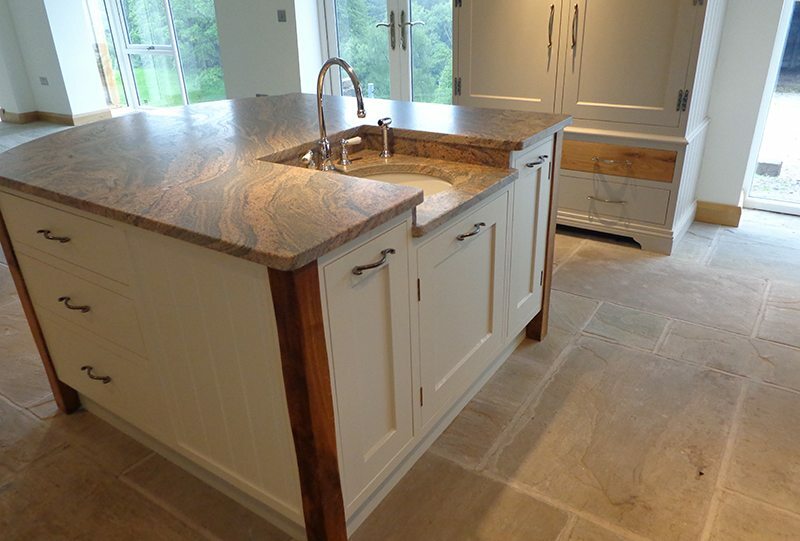 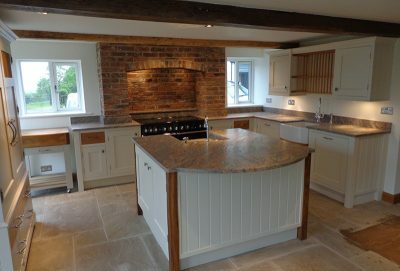 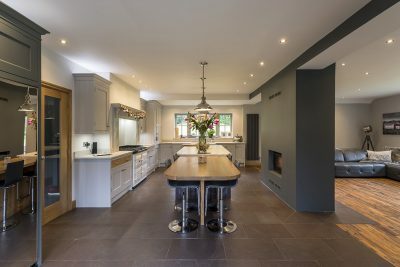 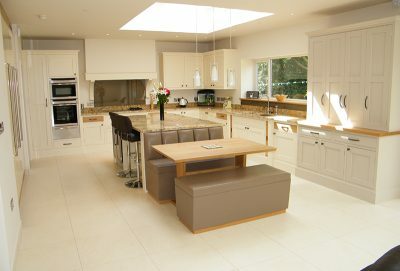 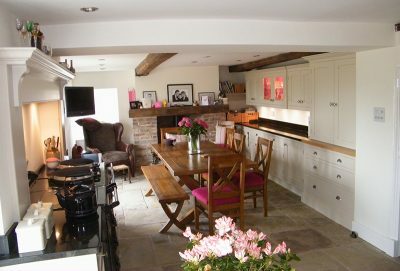 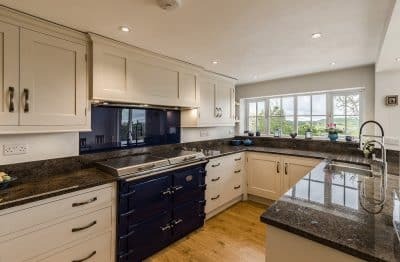 Island with recessed prep sink and reclaimed timber posts. 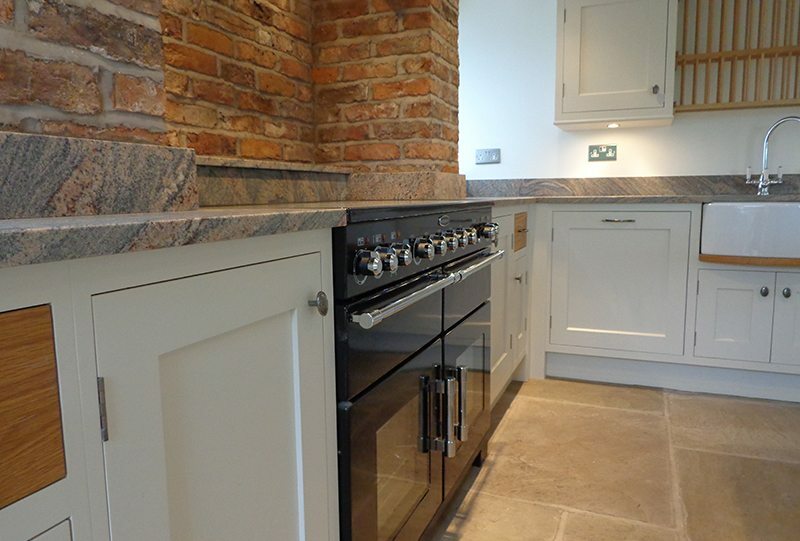 Cheshire brick chimney breast with perfectly matched hand selected granite work tops. 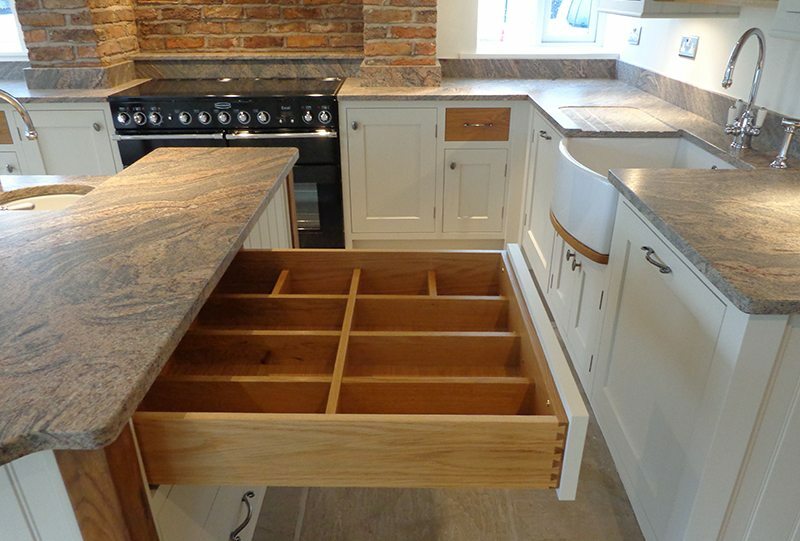 Oak feature drawers and dowel detailing. 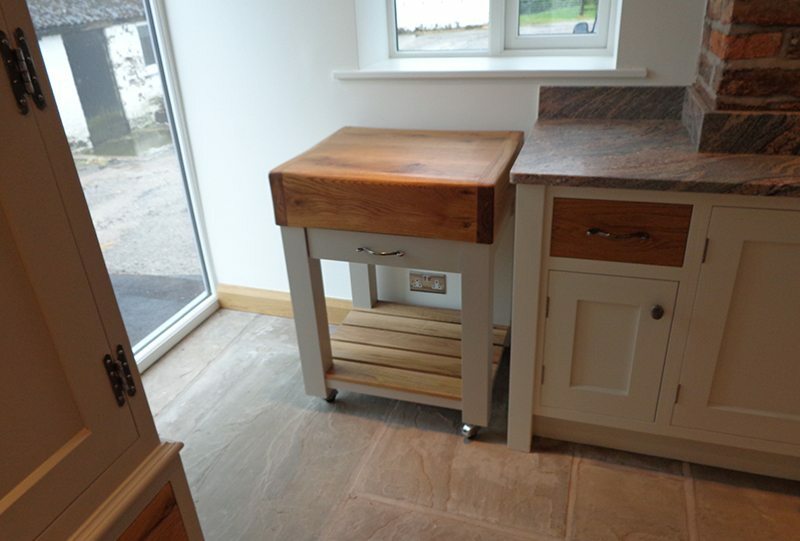 Free standing custom made butchers block.